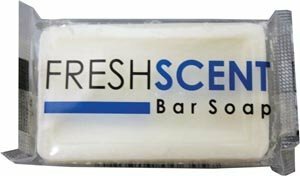 New World Imports SOAP34 Fresh scent Soap Bar, Individually Wrapped, #3/4, Pack of 1000 Easy to use, High Efficiency, Highly Productive. If you have any questions about this product by New World Imports, contact us by completing and submitting the form below. If you are looking for a specif part number, please include it with your message.